June 30, 2016 (RALEIGH) — The central-Asheville election machine took a major hit today, when the North Carolina House Committee on Elections passed Senate Bill 897, a measure that replaces their at-large city council system with geographic representatives, a policy already adopted in eight of NC’s ten most populous cities. 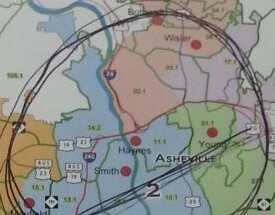 All Asheville City Council members depicted by the red dots) all reside within a three-mile radius of downtown, according to Sen Tom Apodaca, allowing no electoral representation for the interests outside of the downtown community. Rep Susan Fisher (D-Buncombe) opposed the bill and defend the current system by arguing that “anybody could run for office,” and that district drawing lines would prevent this from happening any more. 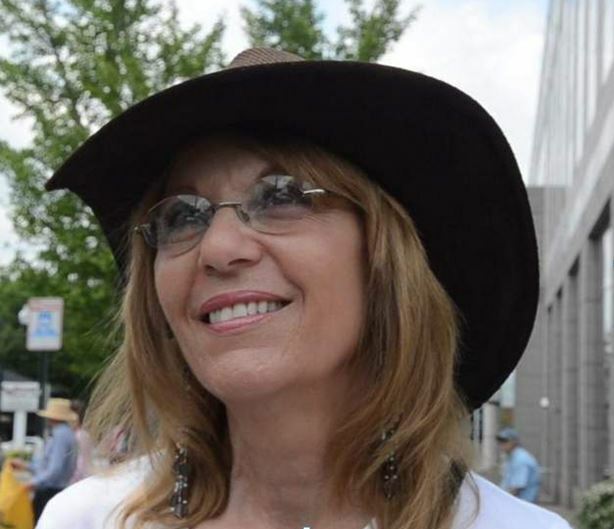 Rep Fisher also warned that geographic representation would create an us-verses-them mentality, making it harder for council members to cooperate, a claim refuted by another committee member who formerly was a council member from a city with geographical representation. Senator Tom Apodaca (R), sponsored the bill and was invited to present the measure to the committee. “Let me start with some truth in advertising,” he said, “other than myself, every member of the Buncombe delegation opposes this bill. Sen Apodaca produced a map out of his binder that he had circled, showing how all Asheville City Council members were tightly residing together in the central Asheville area. Several council members would be forced to run against each other, in order for the outer-lying districts to gain seats. Asheville Tea Party Chairman, Jane Bilello, applauded the measure. The measure passed by a 17-9 margin without amendments. Next step will be a full House vote, where Guilford area Representative, Pricey Harrison, opposes the measure and announced plans to introduce an amendment during floor debate. 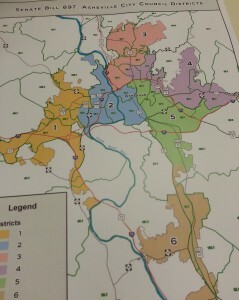 Map depicts the seven Council districts SB 897 will create. Currently, all candidates are elected at-large. Under the new measure, none would run at-large.